On his second-to-last day in office, Illinois Gov. Pat Quinn took a stand for animals, vetoing a bill that would have legalized hunting bobcats in the state. It was a decision borne out of responsibility toward wildlife, Quinn said in a statement on Sunday. "Habitat loss and trophy hunting put bobcats on the threatened species list in 1977," he said, "and it was only recently that the bobcat population recovered enough to be removed from this list." Bobcats are "a valuable part of Illinois' ecosystem" and continue to need protection, the governor said. In fact, the animals had all but disappeared from Illinois in the early 1900s. After a long road to recovery, which included decades on Illinois' list of threatened animals, the population now stands at about 5,000 animals in the state, according to the Illinois Department of Natural Resources. Across the United States, the population of bobcats is stable at about 1 million animals, according to the IUCN, though habitat loss is a continued threat. The status of bobcat hunting varies by state but is often closely monitored where it's legal. The Illinois DNR even supported the vetoed bobcat hunting bill in light of the animals' return. The fees from hunting would fund additional recovery efforts, a DNR representative told the AP in December. 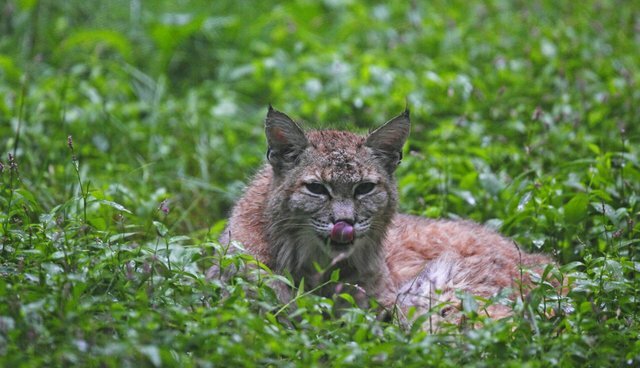 But conservationists with the Illinois Environmental Council had strongly opposed the bill, voicing concerns that hunting would have been allowed in areas where bobcat populations had not made a full recovery. Jennifer Walling, the executive director of the council, told the Chicago Tribune that the bill was pushed through Illinois' Congress without much input from scientists or ecologists. State Sen. Linda Holmes, D-Aurora, told the AP, "I can't find any reason whatsoever for this hunting, other than trophy killing." The Illinois Department of Natural Resources did not immediately respond to a call for comment.